The Lion, the Witch and the Wardrobe has enchanted readers for generations and now will delight younger children as a picture book. Brought to life through Christian Birmingham’s stunning illustrations, this is a magical winter story for all the family. When Peter, Susan, Edmund and Lucy are sent to stay with a kind professor who lives in the country, they can hardly imagine the extraordinary adventure that awaits them. It all begins when the children explore the professor’s rambling old house. When they come across a room with an old wardrobe in the corner, Lucy opens the door and gets inside. To her amazement, she suddenly finds herself standing in a wood, with snowflakes falling through the air. Lucy has found Narnia, a magical land of fauns and centaurs, nymphs and talking animals and the magnificent lion, Aslan. They are joined by the beautiful but evil White Witch, who has held the country in eternal winter for a hundred years. Christian Birmingham’s exquisite illustrations bring the world of Narnia alive and provide the perfect setting for the carefully abridged story. 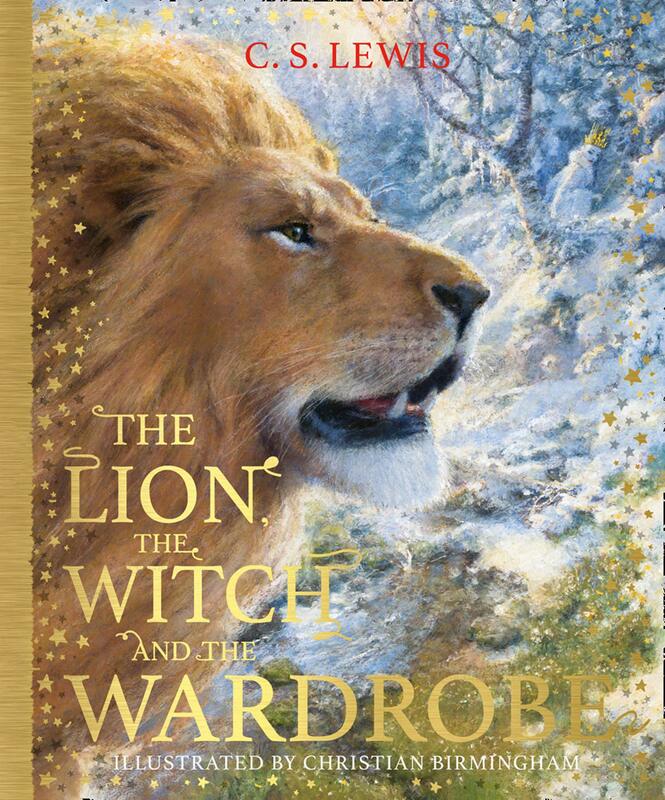 It is a classic in its own right and a magical doorway to all the stories within the Narnia Chronicles. Clive Staples Lewis, born in 1898, wrote many books for adults but the Narnia stories were his only works for children. The final title, The Last Battle, published in 1956, won the Carnegie Award, the highest mark of excellence in children’s literature.